While there are several types of open licenses, Creative Commons (CC) licenses are widely used to give permission to reuse educational materials. Creative Commons licenses are typically used when creators want to give others the right to share, use, build upon or adapt their work. A CC license protects the creator's copyright while providing greater flexibility to those who wish to use the work. "Creative Commons: Free Photos For Bloggers" by Foter is licensed under CC BY-SA 3.0. 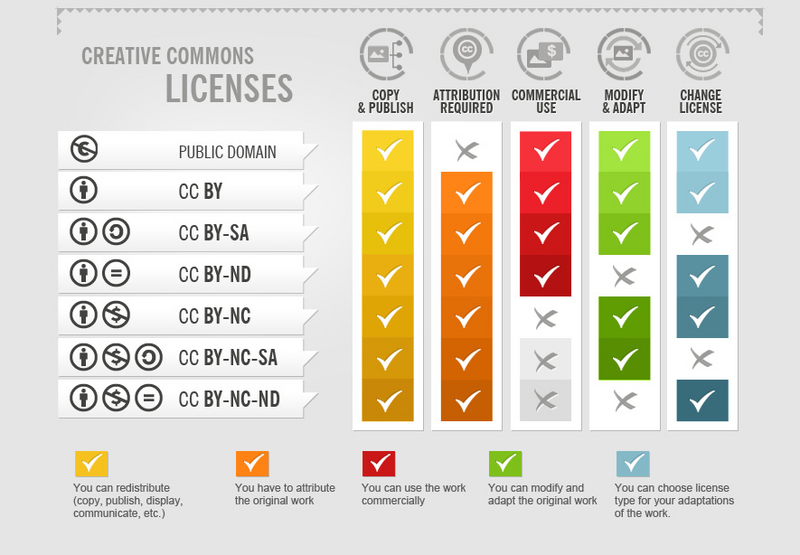 Creative Commons has a unique tool to help people wanting to license their own materials under Creative Commons. The Choose a License tool will help you decide which license is best for your wants and needs. This slideshow from Amy Hofer walks you through applying an open license to your work.